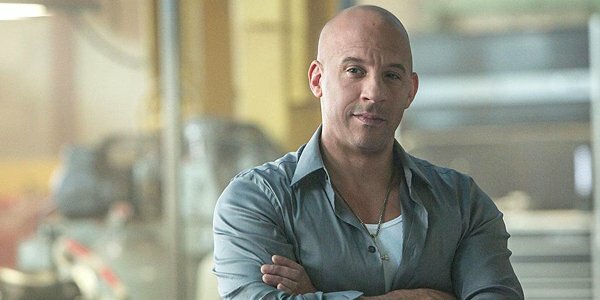 Vin Diesel has been posting some thoughts on Fast 9 via social media, but in general we don’t know too much about the ninth movie in the franchise. Fast 9 will reportedly start filming in late June at Warner Bros. Studios in Leavesden outside London. Justin Lin is said to be returning as director. Fast and Furious 9 is currently scheduled to open May 22, 2020, with a 10th movie behind it marking the final film in the series. Jordana Brewster (Mia Toretto) is confirmed to return for Fast 9, but last we heard Michelle Rodriguez (Letty Ortiz) wasn’t sure she was coming back, it depended on the script. So official cast and plot updates are waiting in the wings. For now, we have some deep thought reflections from Vin Diesel, including this look back with Paul Walker (Brian O’Conner), who started the franchise with Diesel in 2001 in The Fast and the Furious. Sadly, as you know, we lost Paul Walker in 2013 after a horrible car crash. He wasn’t finished filming Furious 7 at the time, but his brothers helped as stand-ins to complete Walker’s final scenes as Brian. Since Fast 9 is still in pre-production, we may have to wait a month or two for more official updates before the start of filming. Here’s what we know so far about the movie. In the meantime, we’ll keep looking to Vin Diesel to share updates behind-the-scenes. Fast franchise fans can also look forward to the spinoff Fast & Furious Presents: Hobbs & Shaw, starring The Rock and Jason Statham, which opens in theaters August 2.